I can remember my early days as a newly qualified teacher, when I would try to address inappropriate behavior in the classroom. Frequently, I would attempt to maintain discipline by entering into “win-lose” situations. After attending several behavior management courses, I found that it was far more effective to adopt a positive behavior management model. repairing and rebuilding situations when things don’t go right. As a parent of 5-year-old twins, I often have to remind myself that what makes good teaching practice can make good parenting practice. Children want to test our boundaries; it is how we approach this that makes all the difference. Using positive language will really make a difference in how your kids respond. Rather than saying, “Will you stop talking? !” try saying, “I’d like you to listen, please.” In addition to positive language, try using choice directions such as, “You can either work quietly on your own, or come and work next to me” or “When you have finished your homework you can then go outside and play.” Choice direction is far more effective than dictatorial tones and can help to increase compliance. When you want to address your kids, allow for a bit of processing time. First address them, then pause and wait for them to register your address. Once they have acknowledged you in their own time, you can ensure they are fully listening to what you have to say. If you want to avoid conflict, then partial agreement is a great technique. It is natural to want the last word to assert your authority; but actually, in certain situations where a child disputes your judgment, admitting that you might not be completely right can resolve the situation and demonstrate a mutual respect. The main thing to remember is that acting in anger or aggression is not going to get a positive response from the child. Taking a step back to reflect on the situation, and responding in a calm and reasonable manner, should get a better reaction overall. Current academic thought is encouraging educators to examine the kind of mindset that we are developing in our children. Through her research, Carol Dweck, Ph.D., argues that we should be teaching our children to persist in the face of setbacks and helping our kids learn from such situations. Speaking as a parent, these things are often easier said than done; but they represent an ideal that we should be striving for. Dealing with children as a parent or teacher is a challenging prospect sometimes. It is inevitable that we’ll have moments of frustration and anger when a child’s behavior is unacceptable. It is imperative to keep perspective on the behavioral issues, however. It is easy to only focus on the negative in a situation, but make sure you have a full grasp of the larger picture. Focusing solely on the negative will only have a detrimental effect on the disciplinary process. 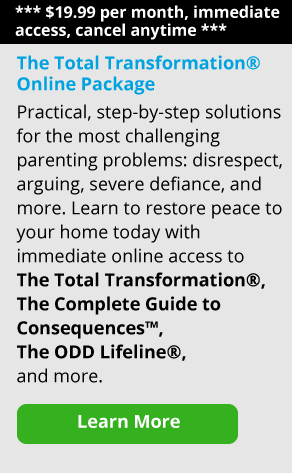 Through the use of positive behavior techniques, you can find effective ways to deal with difficult behavior or situations. James Goldsmith is a teacher in an Independent School in The U.K and runs private training courses and 1-to-1 tuition. His family time is raising his twin 5-year-old children with his wife.